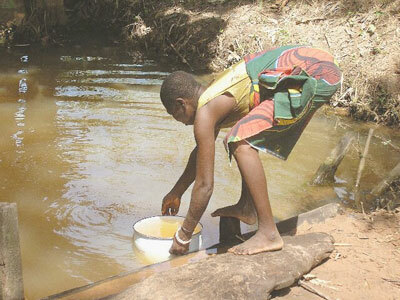 NO fewer than 19 communities in Cross River State are at the mercy of waterborne diseases. The sordid disclosure was contained in the findings of a survey recently carried out by Caritas Nigeria and Justice Development and Peace Commission (JDPC), both agencies of the Catholic Bishops Conference of Nigeria. They had undertaken research on knowledge, attitude and skills in 19 communities on the Oban corridor of the state’s National Park. A statement by the Executive Secretary of Caritas Nigeria, Rev. Father Evaristus Bassey, said the study revealed that, “the sources of water supply and sanitation facilities in this corridor are appalling. “Up to 94 per cent of respondents in these communities admitted to open defecation. In some of the communities, there were no sanitation facilities at all. Government needs to declare a sanitation emergency on this corridor, which would involve awareness creation and provision of public water and sanitation facilities,” he stated. The agencies urged the federal and state governments to act swiftly in order to avert impending outbreaks of cholera, diarrhoea and related diseases. “The access to these communities is very poor, despite the fact that the road is a Trunk A road that leads to the border of Cameroun. We call on the Cross River State Government to complement the efforts of the Akamkpa LGA by mounting pressure on FERMA to step in and do something before the rains come in full. “People on this corridor spend thousands of naira to get to the local government headquarters. The Cross River State Government should be interested in these communities beyond the collection of carbon credits and royalties from forest and mineral exploitation. “The seriousness with which the whole world looks at the environment now, especially with the Paris Consensus, sections of the world that help to maintain the earth’s ecosystem should be given attention at least in terms of basic infrastructure. The dwindling oil prices have naturally made tourism an alternative. “The rain forest is a lucrative tourist attraction, but tourism cannot develop where there is poor infrastructure. We, therefore, call on the government of Cross River State to do all within its power to facilitate access to tourism sites in the state, and especially in these rain forest areas as a means of further expanding tourism,” Bassey appealed.